Cyclists can ride free of charge or raise funds. Businesses can also make donations. This year’s event brought in more than $8,000, which will be re-invested back into cycling in Mattapan. With these funds, Mattapan on Wheels plans to send a few students to a youth bike summit and organize bike activities and workshops. “…We have seen an increase of bikers in the Mattapan community. This motivates us to continue on with Mattapan on Wheels and our biking efforts in Mattapan,” Mattapan on Wheels wrote in an e-mail to supporters this week. Breakstone, White & Gluck regrets that we were unable to participate in Mattapan on Wheels this year. But our attorneys want to thank the volunteers who organized Mattapan on Wheels and specifically everyone who took time to fit our Project KidSafe helmets for children and other riders. Your enthusiasm, energy and patience makes a big difference in helping someone get started wearing a helmet, which is the first step of safety on a bike. Thanks to the Mattapan Food and Fitness Coalition and Mattapan on Wheels for letting us show their excellent photos. See more photos on their Facebook page. Photos of Mattapan on Wheels 2018. Courtesy: Mattapan Food and Fitness Coalition and Mattapan on Wheels. Breakstone, White & Gluck is a Boston personal injury law firm. Our partners, Marc L. Breakstone, David W. White and Ronald E. Gluck, founded our Project KidSafe campaign in 2013 to encourage children to wear bicycle helmets and protect themselves from head injuries. 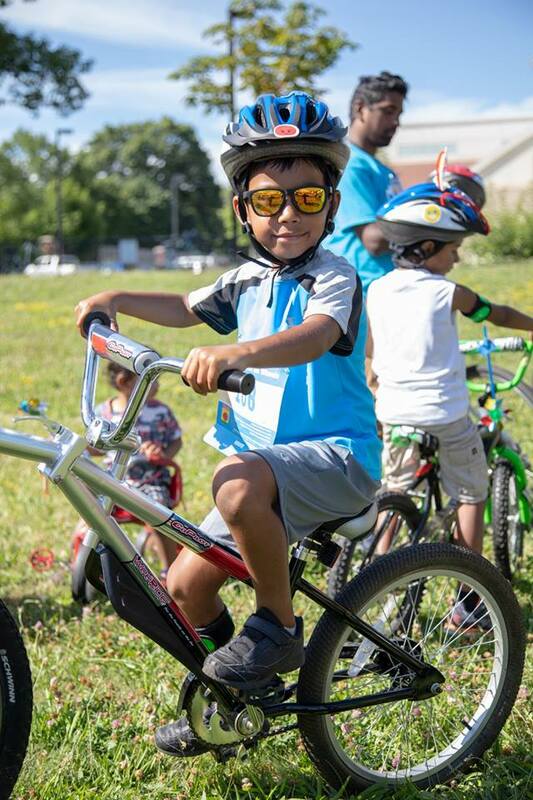 We are proud to donate bicycle helmets to children in Boston through a number of organizations, including Mattapan on Wheels, Boston Bikes, the Boston Police Department, the Tierney Learning Center, Bikes Not Bombs and The Home for Little Wanderers. We also support the advocacy of the Boston Cyclists Union.